Mirrors are forbidden in a bedroom along with any other reflective surface. But they have the most adverse effect when Mirrors and Bed are so aligned that a reflection of the person sleeping in the bed is obtained in the mirror. 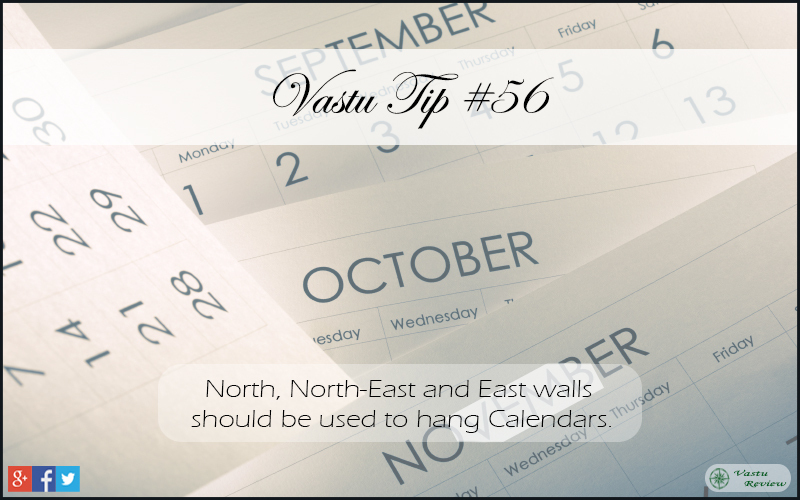 North, North-East and East walls should be used to hang Calendars. Similar to clocks, a Calendar is also used to energize a particular zone. White color paper with Blue or black printing is the most auspicious in calendars. One should keep in mind to not keep any outdated calendars hanging on the wall. 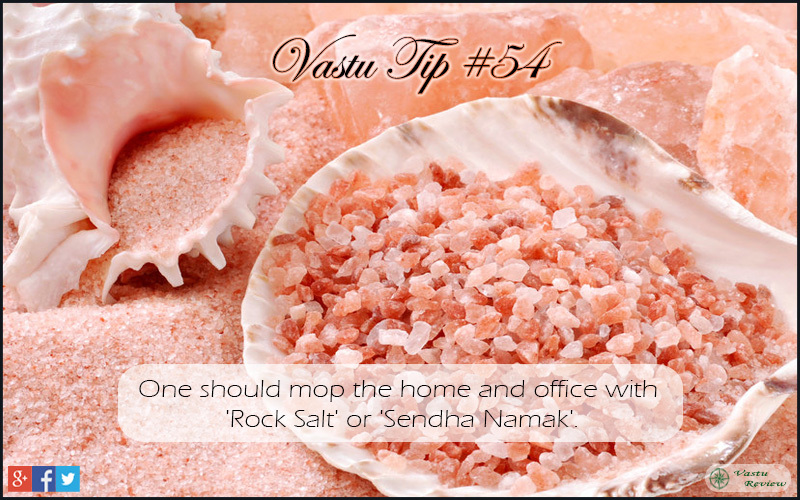 One should mop the home and office with ‘Rock Salt’ or ‘Sendha Namak’ on regular basis (at-least once a week). By doing so one can dispel negative energies from the building. 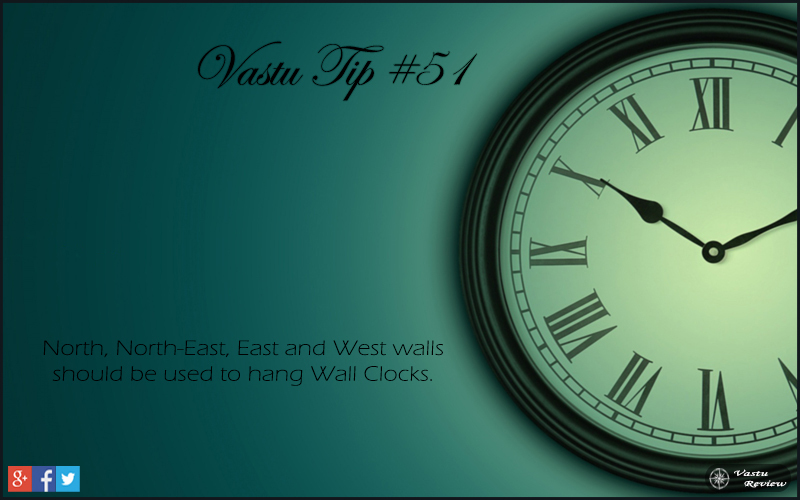 North, North-East, East and West walls should be used to hang Wall Clock. Wall clocks are excellent devices to energize a direction. A clock on the North wall brings Wealth , on the North East wall it brings Prosperity, on the East wall bring Health and on the West wall it bring Peace . Wall Clocks hanging on walls in the South East, South, South West and North West directions has adverse effects. A clock on the South West wall has the most devastating effects and can become the cause of ill-health or death of the owner of the building (head of family). 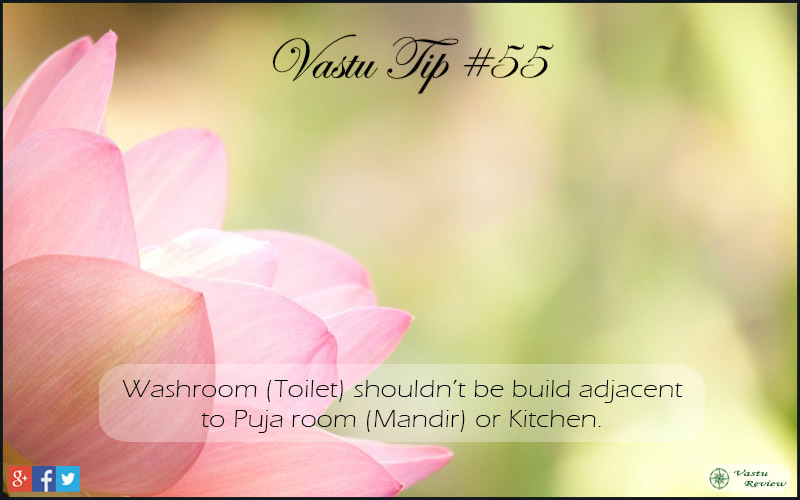 Some other points also need to be kept in mind other than the wall and zone in which the wall clock is hanged. The clock should always be in working condition. Any damaged or non-functional clocks should be immediately replaced or repaired. Color and material of the clock should be selected according to the zone in which it has to be hanged. Wooden clocks can be hanged in all the auspicious zones and directions.